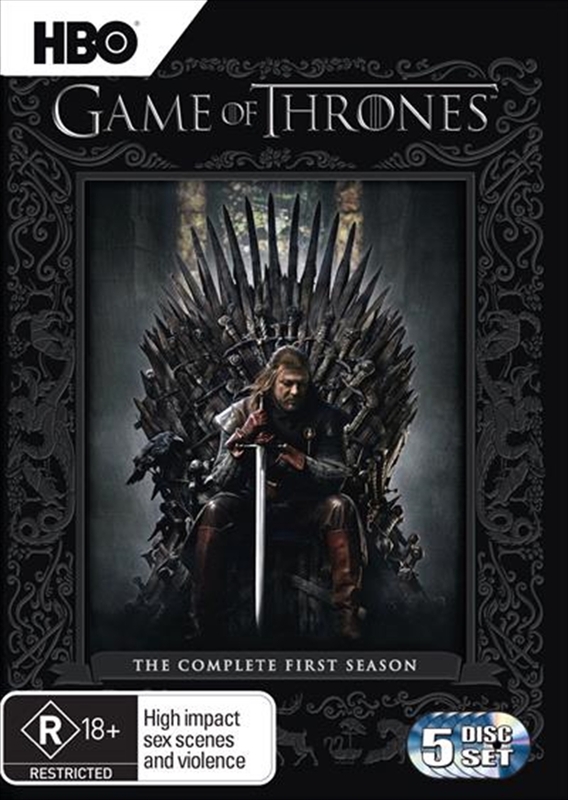 Game Of Thrones Season 1 - The Season That Changed TV - On Sale Now With Fast Shipping! Based on the bestselling fantasy book series A Song of Ice and Fire by George R.R. Martin, this sprawling HBO drama is set in a world where summers span decades and winters can last a lifetime. From the scheming south and the savage eastern lands, to the frozen north and ancient Wall that protects the realm the mysterious darkness beyond, the powerful families of the Seven Kingdoms are locked in a battle for the Iron Throne. This is a story of duplicity and treachery, nobility and honour, conquest and triumph. In the Game of Thrones, you either win or you die.